Give a gift that may save a life. 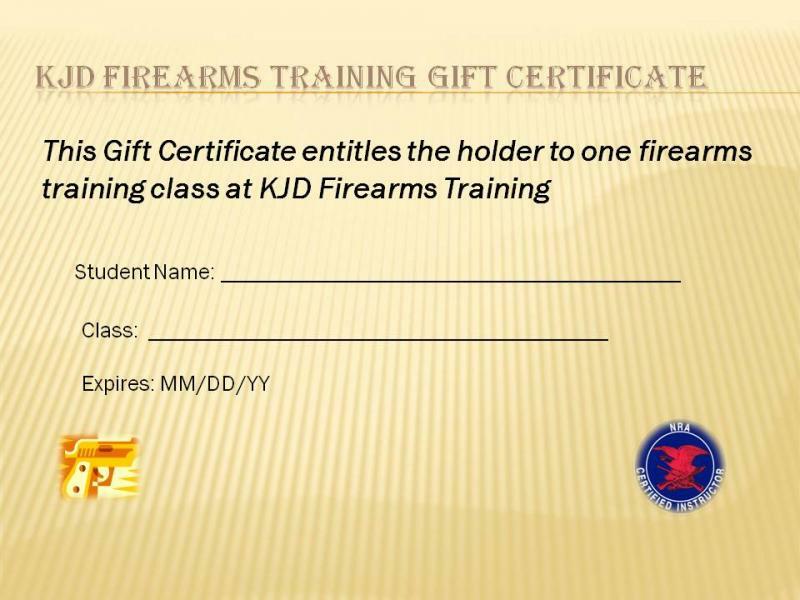 Firearms training is a wonderful and yet unique gift for a friend or loved one. For November and December 2014, the NRA Basic Handgun class will be discounted to $145.00 per student. The cost covers everthing -- instruction, NRA materials, ammo and targets. A minimum of 4 and a maximum of 7 students are required. Gather some friends and take advantage of this holiday special. Classes are available during the week and weekends so let me know (ken.distefano@gmail.com) what days work for your group. Send me an email at: ken.distefano@gmail.com identifying the course you would like to give. I will reply with the cost, some suggested dates and how to pay.